Animals in the News (via The Atlantic). In March of 2013, I uploaded a blog post called Animals of Reddit. The blog post prompted a lot of questions, comments and responses. Even though we have not yet reached the topic of animals, the due date of the 5 comment blog participation is drawing near. I want to help you reach the end stretch of your assignment. This said, the following post will include a gallery of animals that have gained some notoriety in news–via The Atlantic, a publication over 150 years old. While looking at these pictures, it is important that you think about concepts that we’ve already discussed in class; which include: protein synthesis, homeostasis, heredity and genes, taxonomy and cladistics, the characteristics of life, the chemistry of life, etc. Needless to say, this post, along with the Animals of Reddit post, will be revisited in the near future. I encourage you to participate in any way that you deem possible; but it will be especially noteworthy if your participation includes high quality, high-res pictures of rare animals–make sure you include the url (or link) from where you got the picture. Uroplatus sikorae — These animals are reptiles. They are not amphibians, as many people in Puerto Rico are led to believe. The bumble bee belongs to the genus Bombus. Bees are fundamental for any ecosystem. Their sexual behavior allows for plants to cross-pollinate and reproduce as well. 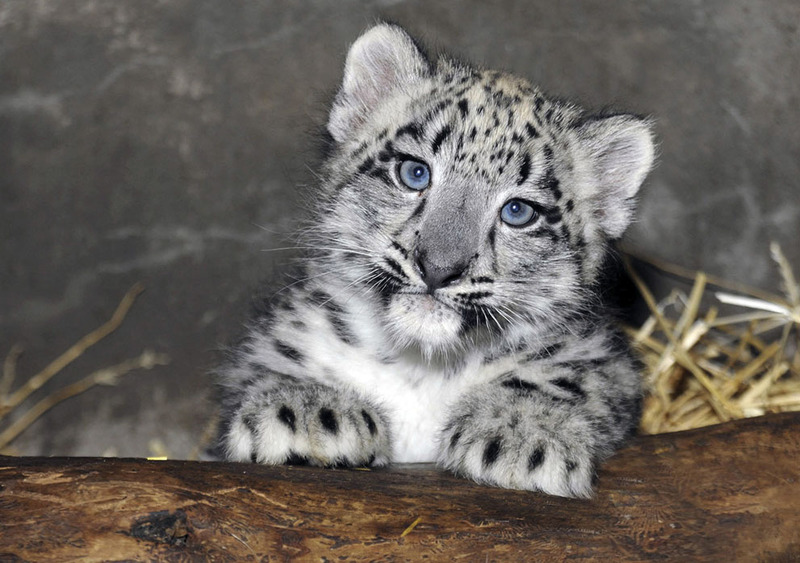 This baby snow leopard (Uncia uncia) is a an endangered species. They live in the cold, mountainous regions of Northern India, Nepal, Tibet, among other Central Asia countries. Amblyrhynchus cristatus is an iguana found only on the Galápagos Islands that has the ability, unique among modern lizards, to live and forage in the sea, making it a marine reptile. The iguana can dive over 9 m (30 ft) into the water. 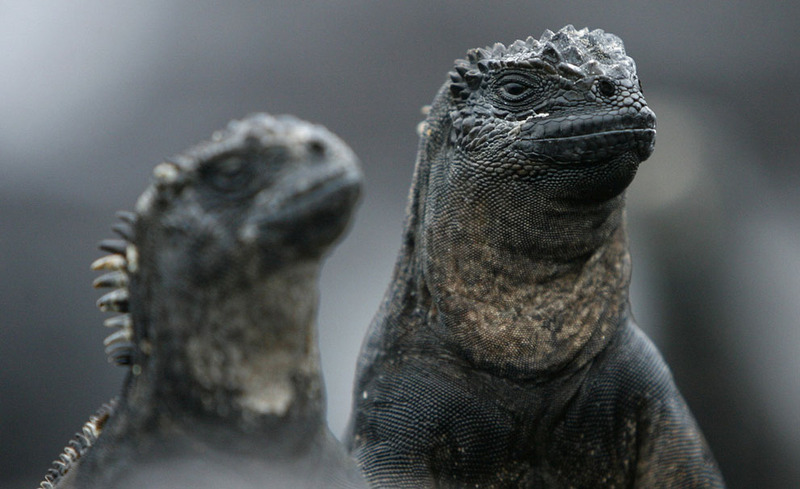 It has spread to all the islands in the archipelago, and is sometimes called the Galápagos marine iguana. It mainly lives on the rocky Galápagos shore, but can also be spotted in marshes and mangrove beaches. The feet of Sula neobuxii. A young Galápagos Sea Lion, Marine Iguanas in the background, in Bahia Fe, Santa Cruz Island. This gallery could not be complete without insects, nature’s most successful animals. This is Euglossa dilemma, a bee from the genus Euglossa. 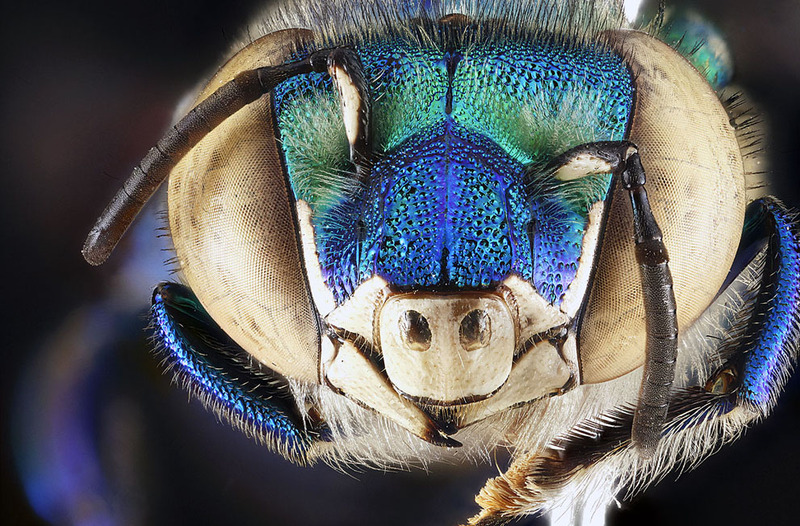 It is an orchid bee, meaning that it has coevolved with a particular species of orchid. 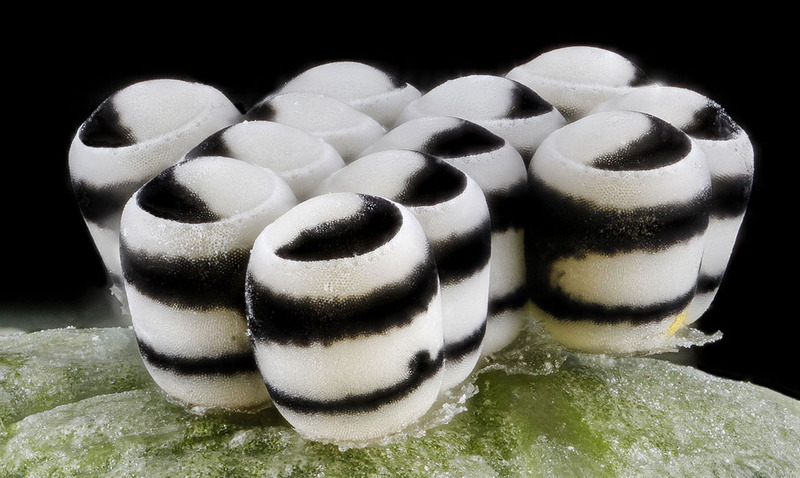 These are the eggs of Murgantia histrionica, a bug that loves cabbages. 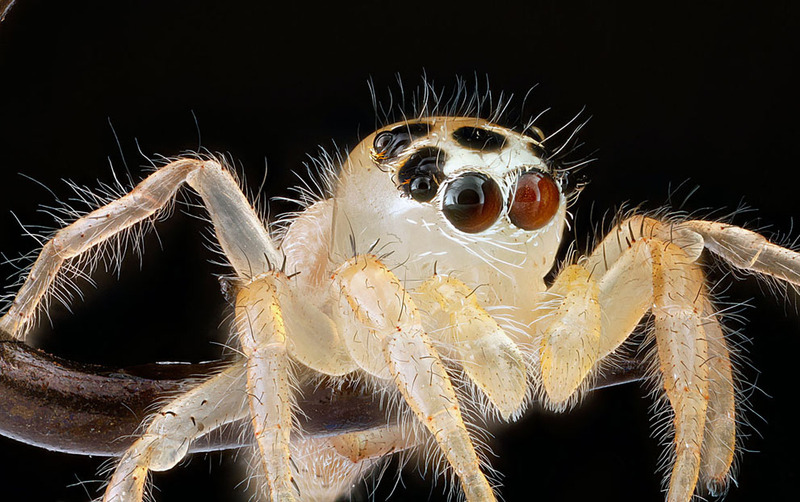 A jumping spider is easily recognizable by the pattern of its eyes.There are thousands of species, making it the most bio diverse group of spiders. 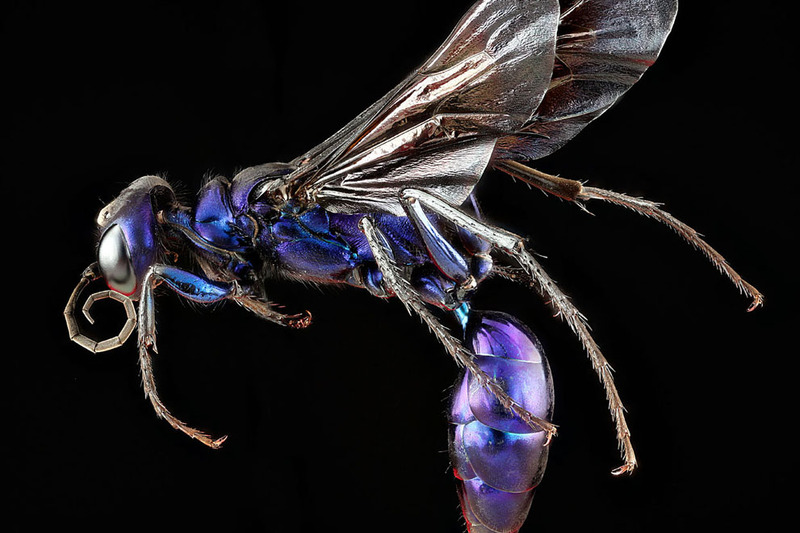 With the Steel Blue Cricket Hunter (Chlorion aerarium)–possibly the most epic name for an insect ever–we conclude this second gallery of animals curated from the web. Remember, if you come across animals that could be added to this or other galleries, don’t hesitate to put a link on the comment section of this blog post. This entry was tagged Chapter 17: Classification of Organisms, Chapter 32: Introduction to Animals, photography. Bookmark the permalink. A team of scientists from Conservation International’s Rapid Assessment Program conducted a project to search for new species in environments that were not affected by humans. A team of scientists went to Suriname, a region in South America located East of Guayana, West of French Guiana, and North of Brazil. (This country has one of the lowest population densities in Earth.) During this experiment, scientists traveled to sectors where there were no human inhabitants that could potentially contaminate the environment. Scientists were surprised to have found a total of 1,378 new species. Scientists were particularly surprised at the discovery of 6 new frog species, since there recently so many endangered frogs. One of these was the Cocoa frog, named this way because of its brown color. Its scientific name is Hypsiboas sp. It lives in trees and uses its adapted round discs in its fingers and toes in order to climb trees. Here are the links to pictures of the Cocoa Frog and of other fascinating discovered species. Is very similar to our Eleutherodactylus, the coquí, which also is a tree frog. Great find, Adriana. The Giant Panda is a species of bear that is found in the mountains of central and western China. One of the most famous and easily identifiable animals in the world, the Giant Panda is also one of the rarest and is under immense threat in it’s natural environment, primarily from habitat loss. The Giant Panda is unique among bears as they do not hibernate, have very small babies at birth and survive on a diet that is almost entirely vegetarian. Since the Giant Panda was first discovered by a French naturalist in 1869, it has become a global symbol for conservation with the World Wildlife Fund using it as their logo. The Chinese people also see the Giant Panda as a symbol of peace and numerous efforts have been made to try and protect the remaining populations in their native habitats. I will post an image when i get home (: !!! “Iridescence”. A beautiful word. Some birds exhibit this property, especially peacocks. Co-evolution is a very interesting phenomenon. Emergence and interdependence–two very important concepts in science–can be observed while studying how different organisms–i.e. plants/birds; bees/orchids–adapt to biotic and abiotic factors. The Sula neobuxii caught my attention because of their blue feet. They are known as Blue-footed Boobies whose name comes from the Spanish “bobo”, which means “stupid” and was probably inspired by the bird’s clumsiness on land and apparently unwarranted bravery.They are large seabirds that have webbed toes. The Blue-footed Booby is restricted to the northern tropical waters of the eastern Pacific from northern Peru out to the Galapagos Archipelago and north to California.Thier diet consists mainly on fish. This site also talks about other endangered felines. While reading this blog post I was captivated by the beauty of the snow leopard (uncia uncia). These exquisite animals inhabit the high mountain ranges of Central Asia yet they are in a state of endangerement. They are being threatened by humans hunting them for their precious fur. To prevent these animals from going extinct there are countries, like Afghanistan, taking legal action to protect them. Many organizations, such as zoos and the WWF, are also getting involved in species survival projects and creating awareness. Apart from the hunting threats these animals reproduce at a fairly low rate and that adds to the problem. They only mate between the months of December and March and their average number of offspring is 2. What most attracted me of the photo were the cub’s mesmerizing eyes and I found out that when the leopards are born they are blind for a few days. Also they can live up to two decades in captivity and as opposed to other wild cats they are unable to roar. A beautiful big cat, slightly smaller than all the other big cats. Their behavior is almost a complete mystery. Great pic., Alexandra. Bumble Bees caught my attention because, as said in the text below the photography, they are fundamental for any ecosystem the problem is that bees are becoming extinct. As you mentioned in class, Einstein said that: “If honey bees become extinct human society will follow in four years” and i think this is a major issue in the world and not many people know about this and they should. 90% of the wild bee population in the United States has died out, studies in the United Kingdom and Netherlands have shown that bee diversity is down 80%, studies have also reveled that the number of wildflower that depend on pollination has dropped 70%, there have been reported deaths of tens of thousand honeybee colonies. This is a real crisis of serious matter that should be announced in the media to create awareness in people so we can all come together and prevent bee extinction. ^^^^^^ the link for mor information on the bees extinction. It is a very creepy phenomenon. Imagine what would happen if honey bees went extinct. Supermarkets will have a much smaller selection of fruits and vegetables. It would be a very serious crisis. I did some research on rare and newly discovered species in science. I found a gallery that contains pictures and explains briefly 20 of these species. The peacock katydid really caught my attention. It was observed in an expedition that took place on Guyana’s Acarai Mountains in 2006. Its defense mechanism is to pretend to be a leaf laying motionless in a leaf litter, if this doesn’t work it pretends to be an attacking bird by moving its wing up and down making them seem like two eyes. Here is the link of the gallery : http://www.environmentalgraffiti.com/news-20-years-rapid-assessment-programs-species-findings?image=3, I encourage you to look more deeply in to these wonderful and mysterious animals. The ET salamander has a very appropriate name; it actually looks a lot like ET. Life is precious in every aspect. Even though life is extremely diverse, there is always unity. We all share the 7 Characteristics of Life: Living things are composed of cells and have a level of organization, energy use and metabolism, reproduction, response to stimuli, homeostasis, growth and development, and evolution. Classification is a very important key role when it comes to organization among the diversity of animals. The unity among animals can be explained throughout certain qualities they all share such as being eukaryotes and multicellular organisms. I’ve always been amazed of the immense diversity in life, but for me the variety in aquatic life is more mysterious,wondrous, and eye-catching. Deep ocean bioluminescent creatures are my favorite because of the beautiful neon lights they emit. Out of all the beautiful bioluminescent creatures this is my personal favorite : http://www.youtube.com/watch?v=oMghL4MedV4 This bioluminescent jellyfish is called the “Bloodbelly Comb Jellyfish”. Bioluminescence is an incredible adaptation. This remark is right on the spot: “The unity among animals can be explained throughout certain qualities they all share such as being eukaryotes and multicellular organisms.” We all share a biochemical history billion of years old. Great links, Claudia. Bumble bees represent a big part of our ecosystems due to the fact that their sexual behavior allows for cross-pollination in plants. Wild pollinators are just as important, and often more efficient, at pollinating crops than domestic honey bee colonies, but the problem is that bumble bee colonies are vanishing. There’s a widespread assumption that domestic honeybees are doing the job. Other facts assure us that it is not true. About 75 percent of food crops require pollination, making pollinators an essential part of food security. A first study shows that the researchers found that almost half that pollination is the work of wild pollinators, primarily wild bees, flies, and other insects. The second study examines historical changes in the population of wild bees in the northeastern United States and southern Canada. Researchers used web-based software to compile 30,000 museum specimen records representing about 440 bee species. They found that wild bees as had suffered some species losses but that these declines were moderate. Bumble bee colonies, on the other hand, are disappearing. Since 1872, according to the PNAS study, the number of bumble bee species in the northeastern United States and southern Canada has declined about 30 percent. It is important to note that colony collapse disorder not only applies to bees, but other very important organisms as well. As I was searching for different animals, I found this very interesting issue from a lab done by Yann Voituron, a Professor of Ecophysiology, where he tried to find out why some animals, specifically the European common lizard Lacerta vivipara, who are unable to migrate or regulate body temperatures are able to survive in the coldest winters. Collecting these lizards and experimenting with different temperatures he found out that they can survive because of two adaptations they have developed: freezing avoidance and freezing tolerance. One of these even makes it possible for them to freeze 50% of their body’s water into ice, helping them to survive!! These lizards use the oxidation of metabolic compounds and adaptive mechanisms from mitochondrial proteins to survive these cold temperatures, which can lead back to lessons we have learned in class from protein synthesis, heredity, genes and characteristics of life. Animal adaptation is one of the most impressive things in life and because of this I believe that every day animals are more capable of surviving in dangerous or harsh conditions. “These lizards use the oxidation of metabolic compounds and adaptive mechanisms from mitochondrial proteins to survive these cold temperatures, which can lead back to lessons we have learned in class from protein synthesis, heredity, genes and characteristics of life.”<—–This type of reasoning is what accounts for a 21st century approach to biology. We need to be able to focus on the interdependent nature of topics such as heredity, evolution, ecology, among other topics. I encourage you to keep using this type of reasoning. The red panda has given scientists taxonomic fits. It has been classified as a relative of the giant panda, and also of the raccoon, with which it shares a ringed tail. Currently, red pandas are considered members of their own unique family. 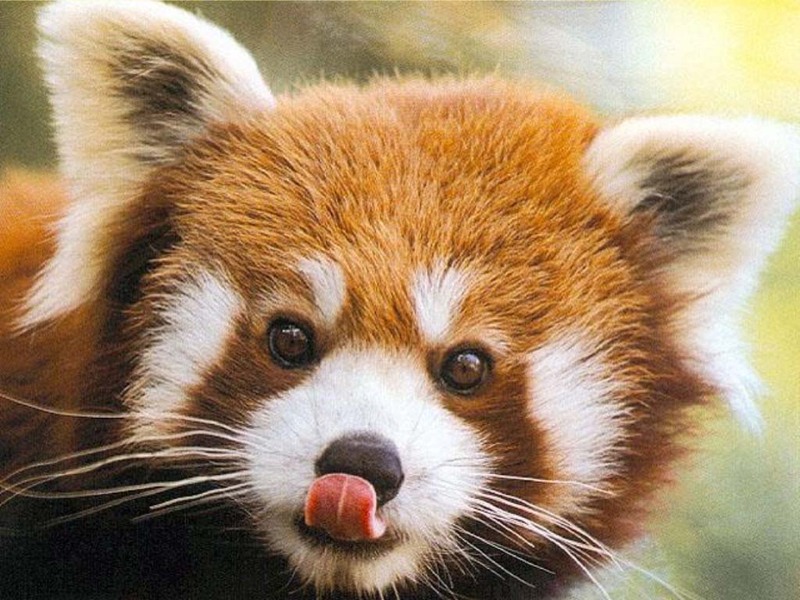 Red pandas are endangered. They are victims of deforestation. No reliable numbers exist for the total population but it is very threatened due to the fragmentation of its natural habitats, their small numbers, and their food specialization needs. Habitat destruction and irresponsible poaching wreak havoc on these populations. I decided to look for more recently discovered species. Turns out that in 2009 a team of biologists led an expedition to northern Peru in which they discovered a ”new heaven of unknown biodiversity.” Among the animals they discovered were 8 new species of mammals and 3 of amphibians. One of the species they discovered caught my attention, its called the night monkey. Night monkeys have big, brown eyes and therefore have increased ability to be nocturnal. Members of this species spend their days hidden in tree hollows or vine tangles. At night, they essentially have the trees to themselves and move between the canopy and the ground feeding on fruits, leaves, insects, and sometimes birds and small mammals. Although they are nocturnal, they still require some light and are most active when the moon is full. They have been listed as endangered by the Peruvian government. Here are two links to pictures of the night monkey. Everytime a new monkey is discovered, is like a long lost cousin returns to the family. The thing about the discovery of new species is that with the discovery, comes the huge responsibility of taking care of them. Unfortunately, many of the new species we discover are already endangered or close to extinction. So, in many ways, to ‘discover’ a new species is really to ‘save’ it from our own nature. After seeing and searching about the case of the baby snow leopard (uncia uncia) a concern awoke, are there more endangered species? There are many many animal endangered but I found the 25 most important. Some of these are gorgeous animal like the Iberian lynx, if they extinct they will be the first feline species to disappear, and the Amur leopard down to 349. The most rare animal in those 25 is the Philippine eagle, not only because of its appearance but also because it eats monkeys. This link includes the photos and a good video. I was interested in finding out more about the baby elephant (poor thing broke my heart) and was saddened to learn that after being born, the mother stepped on him and then attacked him again after the people in the zoo returned him to her thinking it had been an accident the first time, leaving the baby crying for five hours ( I saw in one of the comments that the baby died shortly after due to his injuries). The article about the incident also talked about how there has been research that shows elephants can feel human emotions such as joy, rage, grief, and compassion that leads me to wonder if there are other animals that can feel the same things. It broke my heart as well. But i got the exact result I wanted by posting this picture. You did more research and found out that elephants have a remarkable intellect, probably one of the most intelligent species on the planet. Great work, Ashmara. 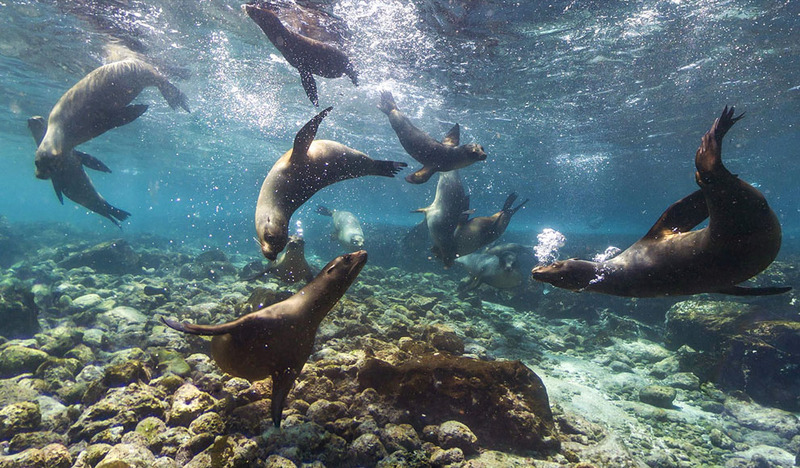 Scientists from the Zoological Society of London(ZSL) studied the behavior of the Galapagos sea lions by going to the Islands of San Cristobal, which is inhabited by humans, and then to Santa Fe, where there are no humans, dogs, cats, mice or rats. 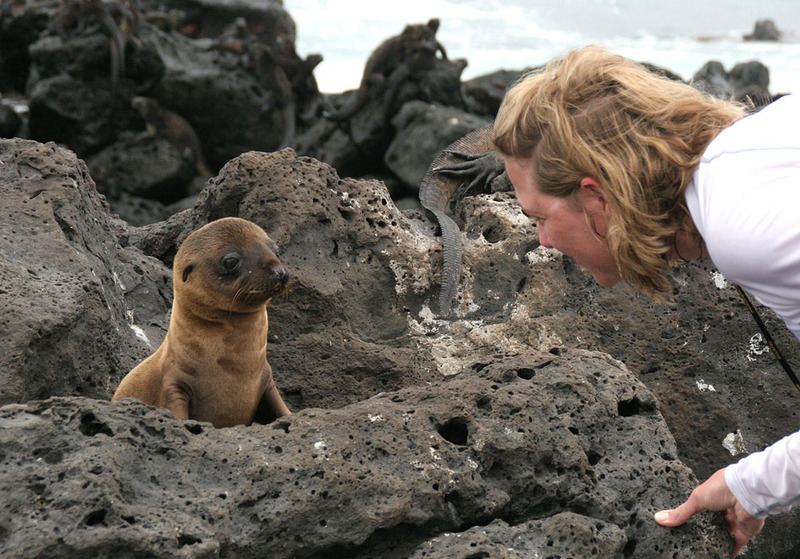 They saw 60 Galapagos sea lions and studied their behavior and physiology. The scientists found out that these animals are prone to starvation because of exposure to human influences like pets and pollution. They observed that in San Cristobal sea lions were more active, maybe they were indicating a threat of contagious diseases. This observation could mean that human activity is increasing the chance of potentially dangerous diseases emerging in the Galapagos sea lion. The research of this experiment was published June 28th in the journal PLOS ONE. 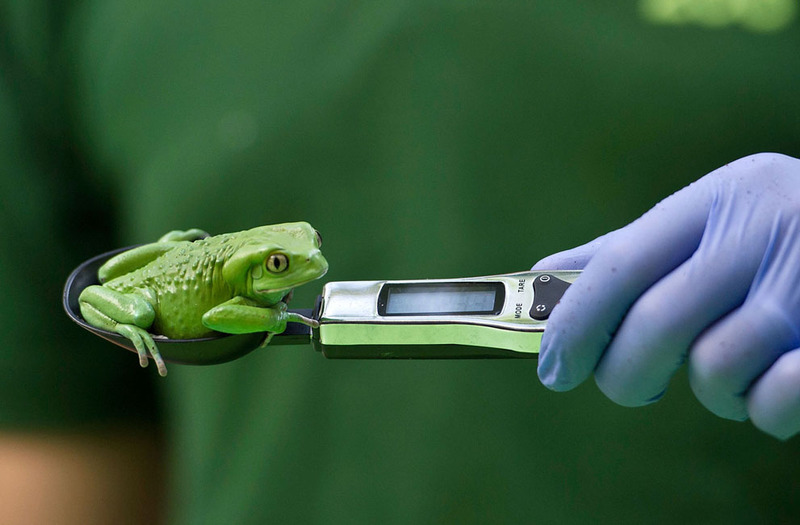 In the link below you can see scientists from the zoological society of London. The Galápagos Islands are a very important landmark for biologists all over the world. We owe the very existence of this science thanks , in part, to the work that Charles Darwin did here over 150 years ago. Actually, I believe that one or two the Galápagos tortoises now living on one of the islands were alive back then! I found the “Dragon Slug” or Glaucus Atlanticus amazingly incredible. It looks cool and majestic at the same time. I found this slug especially appealing because of how it looks like a dragon. It reminds me of the dragons my grandfather used to tell me about. After reading this post, the animal that caught my attention the most was the Galapagos iguana also known as marine iguanas for their unique ability to swim. Despite their looks, they are said to be very gentle herbivores that live off of the underwater algae and seaweed. Can you imagine finding a planet completely Si-Fi looking? With all kinds of new species, or other new taxonomical classifications? Who knows, maybe we’ll have to wait many more maybe we won’t. 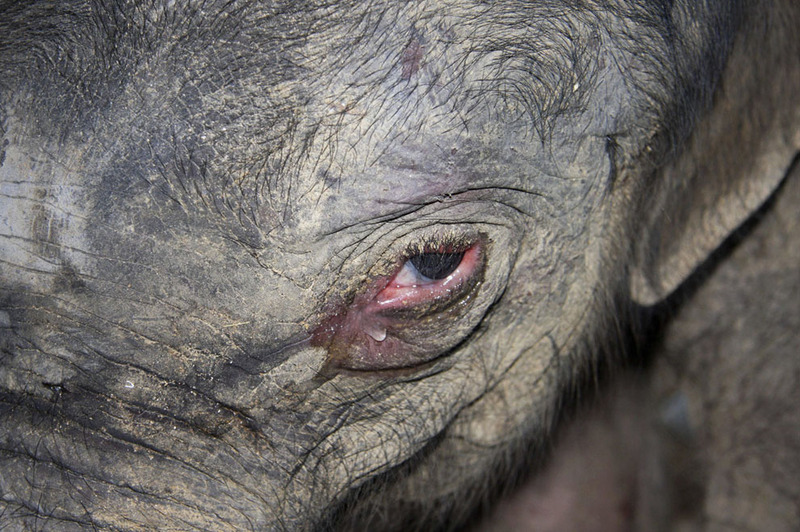 The photo of the crying elephant really touched me so I did a little research about their common behavior and how are their emotions compared to us humans. First it is important to know that elephants share similar characteristics with humans such as their life span and that they form really strong bonds with their relatives. Also some research that has been done in the last 50 years suggest that elephants are highly sentimental and empathetic. All this research that has been done, has led the subject of evolution come to place and even though humans do not share physical characteristics with elephants, it can be believed that certain species have evolved in the same environments, making their behavior similar. Elephants, just like chimpanzees are really amazing creatures when being related to us humans and our origin. The topic of all the animals in the world is very interesting and nobody turns away to a photo of a rare species. Rare species always occur when a certain animal enters a new type of environment and adapts to it which makes it different from what it used to be and it may become a new species. Many people such as me like wolves but everyone looks at the gray wolves which are the most common but for me my favorite type of wolf is the red wolf, a rare type of wolf commonly found throughout the United States, they are very rare that they even were thought to be extinct but in the 1980s an breeding program was created with a few red wolves that were found.The red wolf is a smaller and a more slender than thee gray wolf. Its coat is gray-black like the other wolves but it also has a reddish color due to the fact that they adapted to the non-winter weather in their habitat which gives it its name. And they have a very reduced habitat, probably due to the urban sprawl. Animals are very amusing even more the most rare ones which have very rare characteristics that make them even more interesting. All of this animals have something that make them unique and amusing in their own kind of way. Personally I love dolphins they are one of my favorite animals and my favorite one is the pink dolphin. This dolphin lives in the Amazon river. Amazon pink dolphins are considered the most intelligent of them, with a brain capacity 40% larger than that of humans. Pink dolphins, river dolphins, are only distantly related to the sea dolphins. these is a very rare animal not many people have seen and i believe they are very unique and beautiful. River dolphins are remarkable animals. Check out river dolphins in Asia as well. They live in the river of south east Asia and China. When seeing this blog post, a plethora of ideas came to mind specially when talking about the different species of animals that inhabit this Earth. When I gave it some more thought and saw that most of the pictures you posted were about animals that were in danger of extinction, I decided to look for the same, endangered species in Puerto Rico. I came across many ideas until I found the right one. I decided to comment about one of the animals that is very common here in Puerto Rico. One of the species most precious and most commonly known here in the waters of the Atlantic is the manatee. The manatee is an animal that is in danger of becoming extinct because of motorboats and fishing nets. Although there are reserves in Puerto Rico that help preserve and protect manatees and sea life, this species continues to be at risk. In Puerto Rico there is a very famous scientist who has dedicated his studies to endangered species in Puerto Rico especially the manatee. He is the founder of the international conservation organization Red Caribeña de Varamientos dedicated to the care, treatment, and rehabilitation of injured or stranded marine mammals, sea turtle and sea birds. Dr. Mignucci is a specialist in endangered tropical marine mammals and a specialist in the West Indian manatee. This man is named Dr. Mignucci he was not only a renowned marine biologist, but was once a biology teacher in Cupeyville School. Most of his studies were dedicated to Moises the Manatee rescued here in Puerto Rico on March of 1994, and was nurtured and cared for here in Puerto Rico since he was two weeks old. This project continued for 20 years until they let Moises go out into the ocean healthy and safe. I have fond memories of Moisés. I believe I was in the 9th grade when this marine mammal made the news. The national coverage of his release to the sea, and a very popular song from late singer-songwriter Tony Croatto, had a lot to do with my decision to study Marine Biology in Humacao, P.R. When I first read this post, I wasn’t very surprised at the amount of species that had been discovered in or near the Galapagos Islands, for I had learned of their amazing variety of animals a few years back, when I first heard of Charles Darwin. However, I was curious about how many more species had been discovered in this biological reserve’s near vicinity, so I researched it and found that in 2012, a new species of bottom-dwelling shark, now named Bythaelurus giddingsi, was stumbled across near the Galapagos Islands when shocked researchers saw it from a submersible. As I read this post, it reminded me of the big possibility there is for finding new species of life out in the world. Many people are against this possibility and believe that most, if not all different species of life have been discovered when it comes to animals. But, I infer they get this assumption because they think about land animals when it comes to life. Yet the biggest possibility of new life lies in the ocean, especially in its depths. The ocean is so vast and deep that the chance to find new species is incredibly big! And this isn’t just an assumption; a recent discovery proves that a shark, long thought to be extinct, still lives among us. This so called Megamouth is one of the biggest feeders of the ocean floor; it has never been filmed or photographed alive before. Refer to the link below for a video showing such a monster and for more information. Oceans are a good place to look for life. And especially oceans–or lakes–in our own solar system. Take the example of Jupiter’s moon, Europa. I suggest you to some research on the possibilities of life on that celestial body, especially in the context of your comment: life on the sea (or bodies of water). Yes, I’ve seen many articles and documentaries of the possibility of life in Europa and other moons in our solar system (because I’m very interested in astronomy). Yet one problem that interferes with this theory is that in order to actually observe this ocean under Europa’s thick “ice crust” we must be able to send a sort of “drill” to excavate through the ice. Also, in my opinion, the possibility of life in that ocean is very low due to the extremely low temperatures in that ocean, considering it’s covered by a thick layer of ice and that Europa’s core may be cool, not to mention it’s very far away from a genuine heat and energy source: the sun. I found interesting about this post the Sula neobuxii. I asked myself what made them have the blue color on their feet. I found that the color is created by carotenoid pigments (which reminded me of photosynthesis) they obtain when they eat fish. I also found out that the brightness of the color can tell you the health condition of the blue-footed booby(their common name) since if they haven’t eaten in two days they will experience a decrease in lipids and lipoproteins that absorb and transport the carotenoids and this will make the feet less bright in color. If a serious disruption to their diet occurs—let’s say, due to an oil spill, which kills many of the algae and plant life that store carotenoids in their chloroplasts—, these birds will be seriously threatened; their reproductive behavior will be warped and unhinged. It is amazing to know and see how many beautiful species our world has. This beautiful animals all have a special role in our environment and it will be very sad to loose them because of us humans making them to be endangered species. I think our society has to do something to help to conserve these beautiful creatures and have them out of danger. On the other side, something that I have always asked myself is why are bees so important for our environment? Even though most of the time they harm us humans. This link below helped me to understand why they are important . It is nothing less than a tragedy what is happening to the honey bees. And a potential catastrophe. It’s curious how the uroplatus sikorae has aspects of a dinosaur but still resembles an anphibian even though it’s a reptile making it even more complex. In a way, it appears to be the descent of some kind of mix and unity between different races of animals bearing resemblance to each of the aforementioned from my perspective. There’s a very close phylogenetic relationship between amphibians, reptiles & birds. 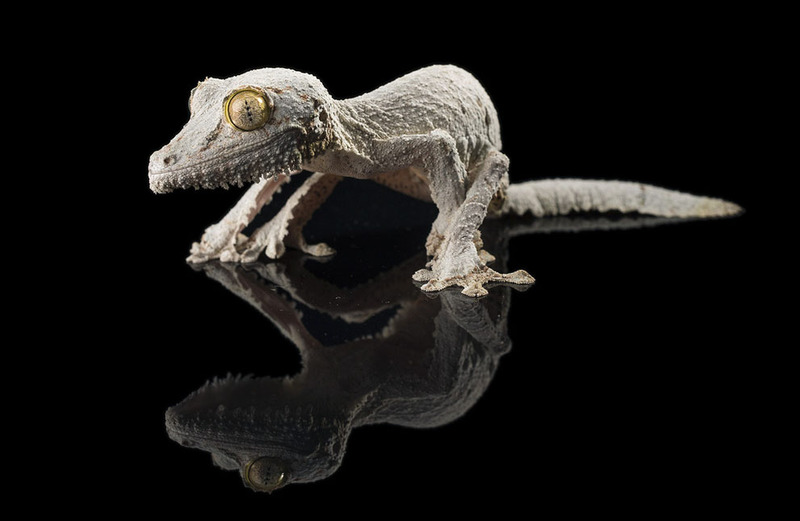 But the uroplatus is definitively a reptile. Wow their are so many interesting and beautiful animals we are unaware of. Their are so many species I don’t know about that are really fascinating. The huge diversity in life is due to species that evolve. Studying taxonomy seems like a fun job because you are able to learn about most of the species that surround us and learn where they come from. Studying this helps link life together showing we are all one. Indeed. This is a very important tool for zoologists, evolutionary biologists, etc. One interesting amphibian I saw was the Wallace’s flying frog or also known as the “parachute frogs”. This frog is an amphibian that can fly and live in the trees of tropical jungles of Malaysia and Borneo. The Wallace’s flying frogs are usually bright green with yellow sides and grow up to 4 inches. They survive mainly on insects. This link includes a photo of this rare animal and more characteristics of it. Amazing little frog. Though “flying frog” is somewhat misleading. But he does know how to glide, or fall, with style. Great find, Adriana. To consider the possibility of competition between some of these species, we must first think in terms of their diets and habitats. For starters, Galápagos sea lions and blue footed boobies share the same diet of fish and a common habitat (when the boobies nest to mate)—the Galápagos islands—, so they tend to compete for food off the coast of the islands. Jumping spiders and steel blue cricket hunters, although seemingly different, share the same grounds and may eat smaller insects—namely crickets—, thus causing competition between them. On the other hand, one would think that Galápagos marine iguanas and sea lions share a common location and thus would share a common diet and exhibit competition; however, the Galápagos marine iguanas’ diet consists primarily of red algae, while the Galápagos sea lions’ diet consists primarily of fish. As for symbiotic relationships, we can see that the observable cases here are between the bees and the plants: the bumblebee feeds on the nectar of the plants’ flowers and carries their pollen to neighboring (or far away) plants, while the orchid bee obtains the fragrance from the orchid species it visits and does the same job (of their pollination). These would be examples of mutualism, for the bees get what they need for survival, while the plants obtain the spread of their gametes and further reproduction. Additionally, there are two cases where we can see that the coloration of these animals serves as a tool for survival. As a start, the harlequin cabbage bug’s bright red-orange-yellow coloring serves as a false warning for predators, allowing it to roam the cabbage fields freely and lay its eggs as it pleases. This would be classified as Batesian mimicry, for the harlequin cabbage bug’s color mimics bagrada bugs (known for extensive crop damage) and fools other animals and humans into believing it as harmful. Lastly, the mossy leaf-tailed gecko has the ability to change its coloring in order to blend in with the surrounding landscape. This case shows cryptic coloration, for it presents a way for this animal to camouflage itself and deceive nearby predators and prey. The galapagos sea lion are the most close related oranisms that would compete for the same resources as well as the galapagos birds… They eat a variety of different kinds of fish found in the water. These seems to always be enough food of it to go around as well but not so much. The male sea lions are know to attack pups as well, but it is due to them defending the area more than it is to fulfill their need for food. However they have been known to go further out when they need to. But on the other hand the further from the shore that they are the more likely it is they will end up eating by a killer whales or sharks. One of the symbiotic relationship is the frog, it gets its nutrients from insects that go around like the bee, but the bee has its purpose to which is to pollinate plants and then reproduce so their is more variety of plants, their is many more organism that can be associated as mutualism, commensalism and parasitism. Animals that would compete for the same resources would be the Galapagos sea lions and the Galapagos iguana. since these two animals can survive and live in both land and sea and eat fish and other sea creatures they would surely battle each other in order to be able to ingest all the food they need and to be able to gather other resources they may need. The food web goes as this: algae (producer) is eating by the iguana (consumer) while also algae gives nutrients to the fish (also consumer) in which the sea lion gets its energy from eating the fish and also the blue footed booby eats the fish, thats the case of having to compete for the same resources between these two organisms. The bumble bee and the Euglossa dilemma will compete for various resources. These two animals feed themselves of pollen. They both take out the nectar or pollen. With the rapid decrease of flower plants the competition for this now limited resource becomes tougher. They also compete for shelter they live in similar habitat which also being rapidly destroyed. The Euglossa dilemma has a symbiotic relationship with the orchid because the orchid needs to be pollinated by this bee and the bee needs the orchid’s fragrance to mate. This post is for the Animals of Reddit. Galapagos Sea Lions are found in the Galapagos Islands and Isla de la Plata. The blue-footed boobies are also known to frequent the Galapagos Islands, in fact, the Galapagos Islands population includes about half of all breeding pairs of blue-footed boobies. These two animals may compete for food since they both have a diet that consists mainly of fish. We can see an example of a symbiotic relationship when we observe the bumble bee and the sunflower. This relationship would be an example of mutualism since both organisms benefit from the relationship. The bumble bee feeds on the nectar of the flower while also helping the flower by spreading it’s pollen. An example of defensive coloration in this post is the snow leopard. The snow leopard uses cryptic coloration or camouflage to hide from their prospective prey or other predators, in fact, it is very rare to spot a snow leopard in the wild because of this coloration. The Uroplatus Sikorae and the Phyllomedusa Sauvagii are an example of two of the many competing animals for resources. 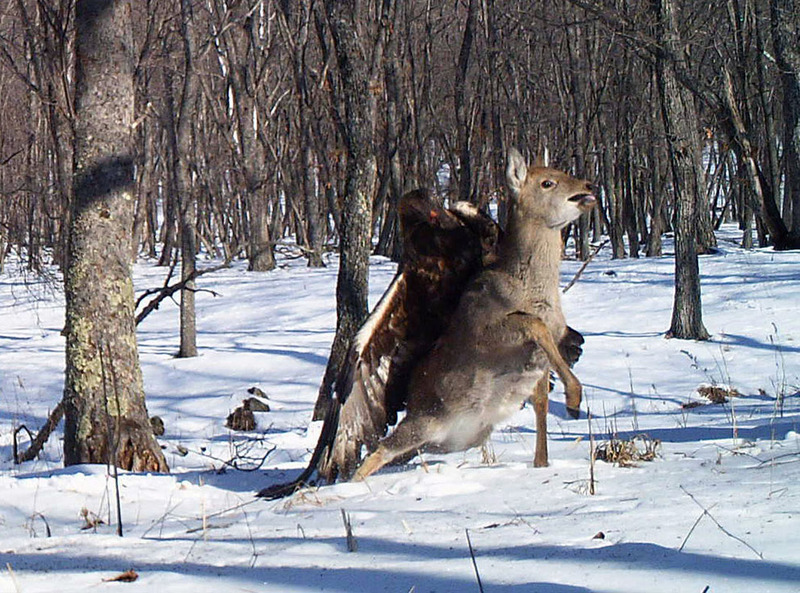 There’s a symbiotic relationship between the snow leopard and the golden eagle by one of them attacking the sika deer since both could benefit from it once it’s dead by either the eagle or leopard killing it. In defensive coloration we can use for example the Euglossa dilemma by having bright colors to alarm its predators, in addition the Uroplatus Sikorae uses its colors in its favor as a form of mechanism to blend in its environment and not be easily visualized by its predators. The Galapagos sea lion and the Blue footed booby may compete, since they both are in the the Galapagos, and they prey on the same organisms, which are sardines. The Euglossa dilemma would compete with the Murgantia histrionica since they both reside in the southern half of the United States, and they feed on plants. Also I would say that the Golden Eagle and the Snow Leopard could compete as well with each other. Their habitat consists of many places and more than one continent, but they sure meet in Eurasia, and they both hunt and feed on animals in almost all other animals in their habitat. An Uroplatus sikorae, and a jumping spider would also compete against each other, since they are both found in tropical habitats in, and near Africa, and they are both insectivores who sometimes feed on the same organisms. Now, about symbiotic relationships, we can mention the bumble bee with the sunflower, in this case, the symbiotic relationship is beneficial to both organisms since the bees feed on the flower’s nectar, and then they pollinate this one. The Galapagos sea lion with the Galapagos marine lizard is also a symbiotic relationship since they can share the same environment without any trouble, or benefit. An finally, we can also mention defensive coloration. First there is the Uroplatus sikorae, which shows camouflage by having a mix of colors almost the same as its habitat’s. Then we have the bumble bee, which exhibits camouflage, and signaling coloration. The snow leopard also exhibits camouflage with its habitat just like the Phyllomedusa sauvagii, and the Galapagos marine lizard. And the blue footed booby exhibits signaling coloration which is noticed when its feet vary in their pigmentation. 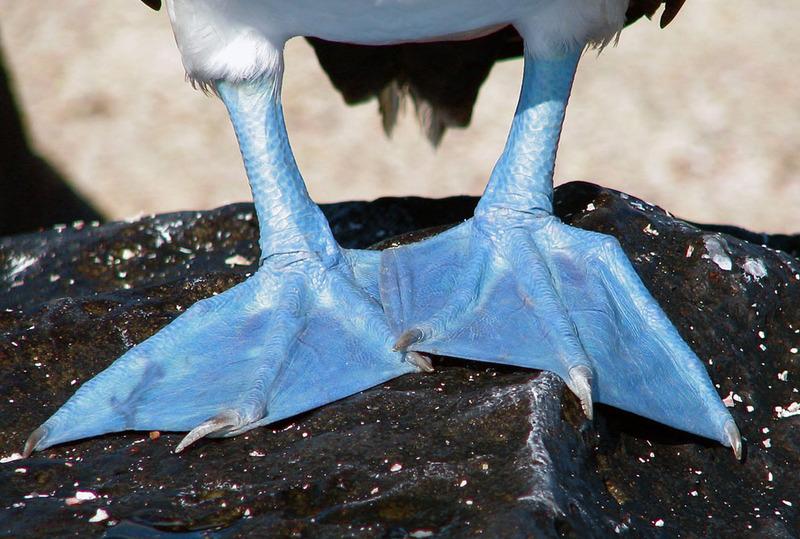 When the feet of this bird get lighter blue or brighter blue is suggesting their health status. The Murgantia histrionica also exhibits defensive coloration by using signaling or warning. The Golden Eagle and baby leopard (when he is old enough) would compete for the same resources since they are both hunters and predators who eat the same animals. 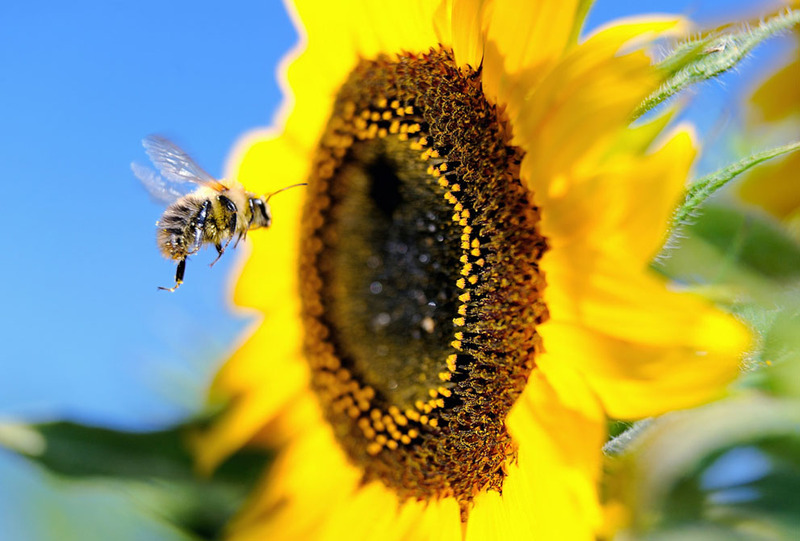 There is a symbiotic relation between bees and plants since the bees help plants spread their pollen therefore reproducing and plants help bees by giving them pollen which the bees eat. Defensive coloration in organism can be either to blend in so that their predators can’t find them that easily or to warn others of their poison and dangerous features so they stay away from them. An example of defensive coloration is the Phyllomedusa sauvagii which uses its green coloration to blend in with the leafs of the trees where it lives. Me being a huge fan of nature, I founded this blogpost very beautiful and intriguing. It presents symbiotic relations and defensive coloration which are very important for a healthy ecosystem. A symbiotic relation that caught my attention was the one between the bees and the sunflower. Some very particular animals that people seem to forget their importance are bumble bees, these represent a big part of our ecosystems due to the fact that their sexual behavior allows for cross-pollination in plants. Wild pollinators are just as important, and often more efficient, at pollinating crops than domestic honey bee colonies, but the problem is that bumble bee colonies are vanishing. There’s a widespread assumption that domestic honeybees are doing the job. Other facts assure us that it is not true. About 75 percent of food crops require pollination, making pollinators an essential part of food security. The animal with defensive coloration that caught my attention was the baby snow leopard. It is a threatened specie which for me it’s ironic because it even has a protective fur. This specie is a perfect example that we are nature’s biggest predator. I love the high resolution pictures of these rare animals, they look amazing when every little detail is picked up so well. If by any chance you have anywhere I could see more pictures like this, I’d appreciate if you’d link it to me! I think the blue-footed bobby and the Galapagos marine lizard would compete for the same resources, not necessarily food, but for the same habitat and home. An example of a symbiotic relationship in these pictures could possibly be the bumblebee and the sunflower, the bee gets the nutrients and resources it needs from the flower, while the flower is being pollinated and has its own pollen reach other flowers. It would be called mutualism, since both organisms profit in the exchange. I see defensive coloration in the snow leopard, it uses the color and pattern of its fur to hide from possible predators, mostly humans, and it also uses it to hunt down its prey, so they are not aware of its presence.